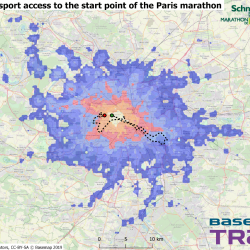 With near perfect weather expected for Sundays Paris marathon, we decided to set our new recruit Raquel the task of producing a couple of maps using our market leading TRACC software which show travel time using the detailed public transport options available to Parisians. 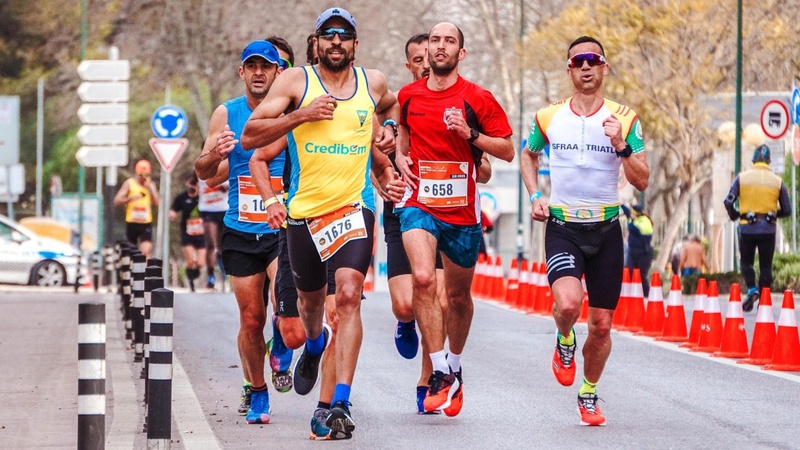 Using this data we have produced our first map to show travel time to get to the start line prior to the race commencing, so if you can spot your hotel nearby – you know how much time it will take to get to the start point of the marathon. 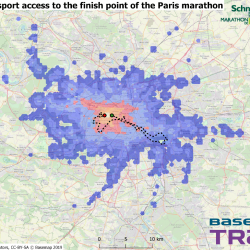 We have also produced a map showing the travel time from the finish point, where you might not be quite as happy for a long commute home with those weary legs! While the location is subtly different you can see the travel distance is reduced – so don;t get caught out! What, ITN is being withdrawn?